Protect humanity. You’re our only hope. Set a course for the stars once again as the fight to defend civilisation from alien attackers blasts onto PS4. Ready your blasters. Engage the enemy. The fate of the galaxy is in your hands. Blast enemy ships and deadly asteroids into oblivion in this rapid-fire space shoot ’em-up. 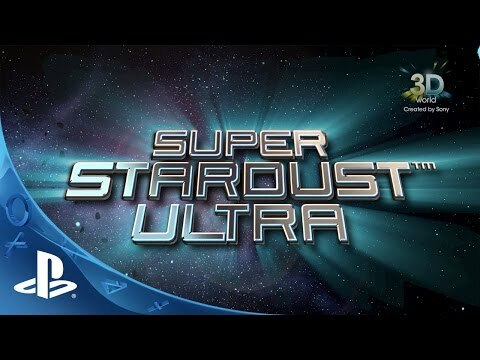 The Super Stardust™ franchise explodes onto PlayStation®4 for the first time as the galaxy’s biggest baddie launches an interstellar war in a plot to take over. Defend the solar system as the last remaining star fighter − you’ll need cat-like reflexes, split-second timing and pure arcade skill to make every shot count. Reach for the stars with incredible 1080p, 60fps visuals. Bring the Super Stardust series to life on PS4 with brand new planets and amazing visual effects. Fight to survive in nine game modes: Arcade, Planet, Endless, Survival, Bomber, Time Attack, Impact, Blockade and Interactive Streaming. Send and receive challenges from your online friends or take the fight across the global leader boards. Compete in 2-4 player local split-screen battles or team up in co-op mode.